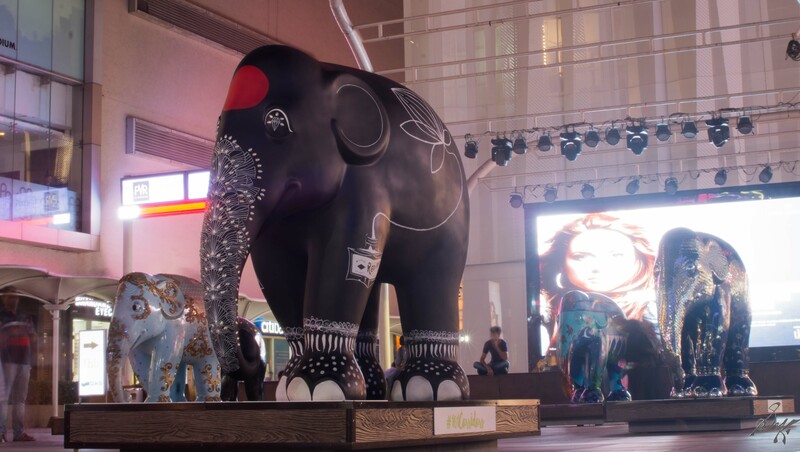 With the novel objective of raising awareness for elephant corridors across the country, The Elephant Parade India arrived at Mumbai this month. 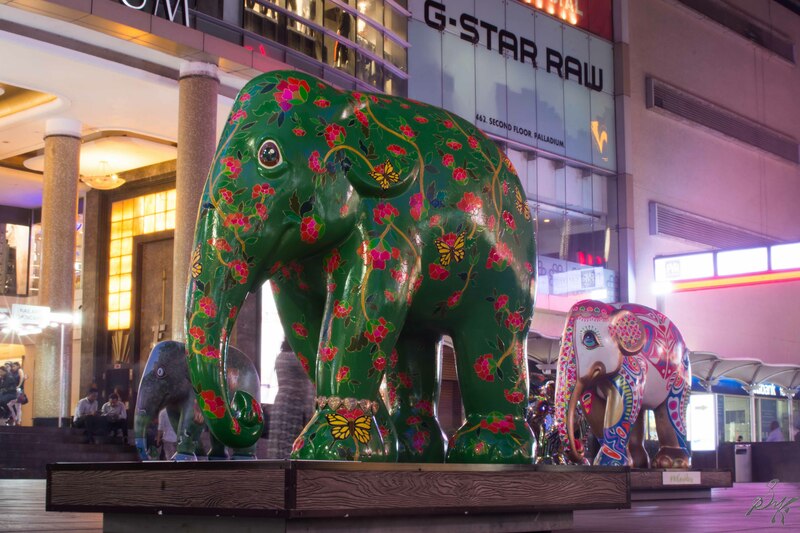 Along came exquisitely designed and painted elephant replicas, each having an interesting story to its own. Apart from being an awareness raising tool, it is also an amazing means to showcase the artist’s expertise and talent. 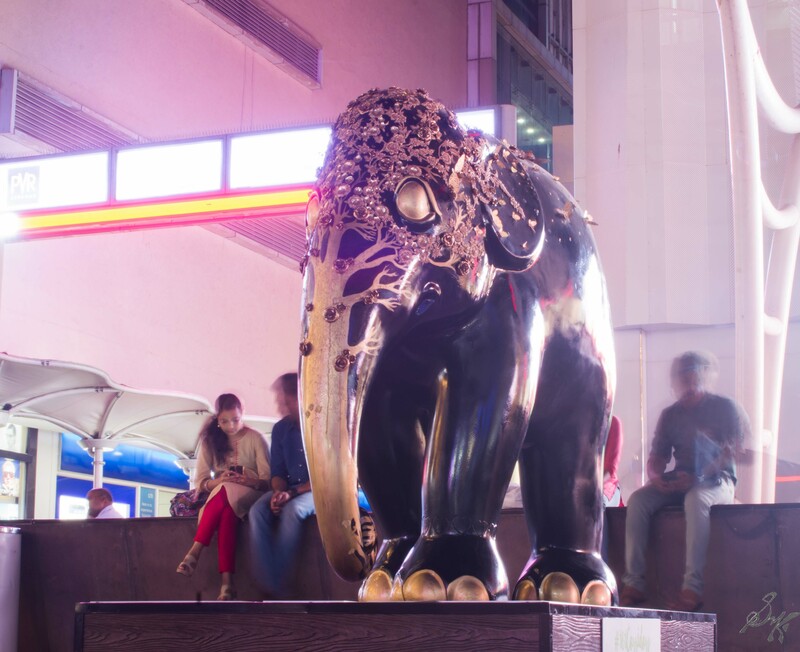 I met with the following elephants at the Phoenix Marketcity at Lower Parel. 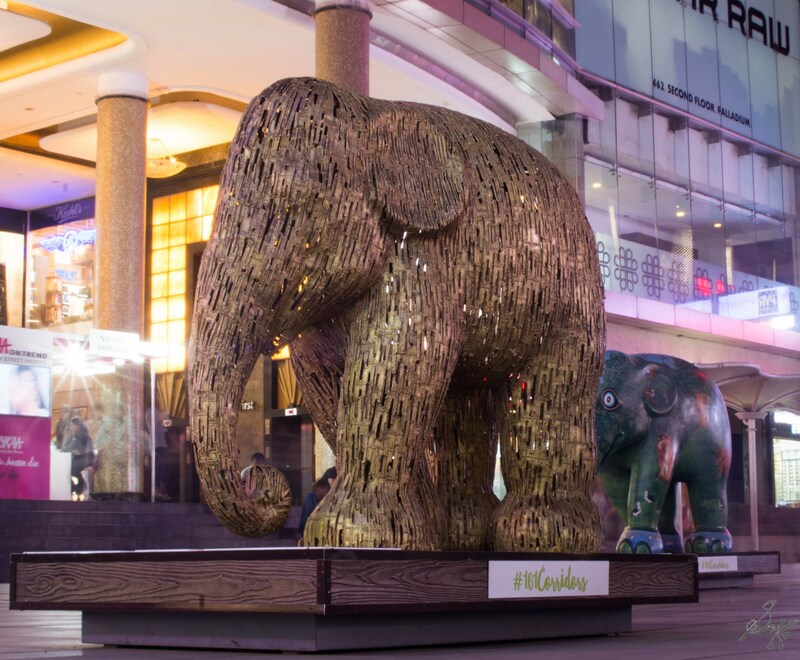 The elephants shall be on display in various locations within the city and details can be found here. 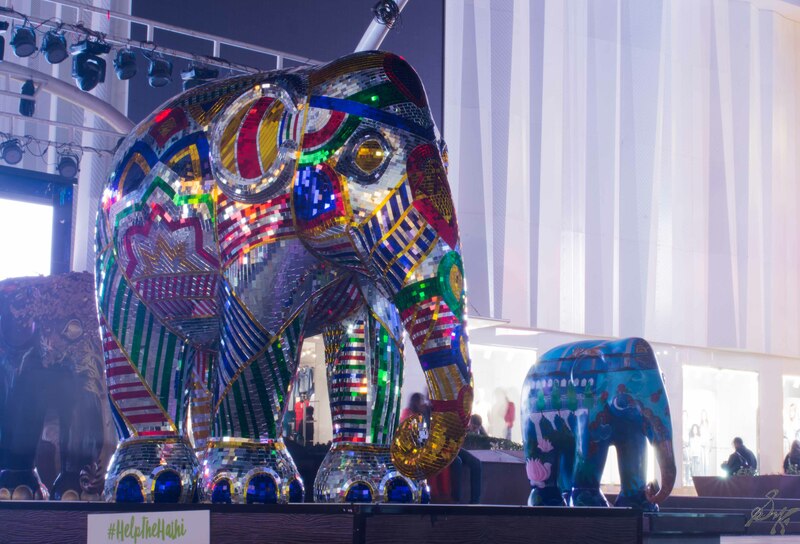 These beautiful elephants are also available for sale using the website mentioned earlier. 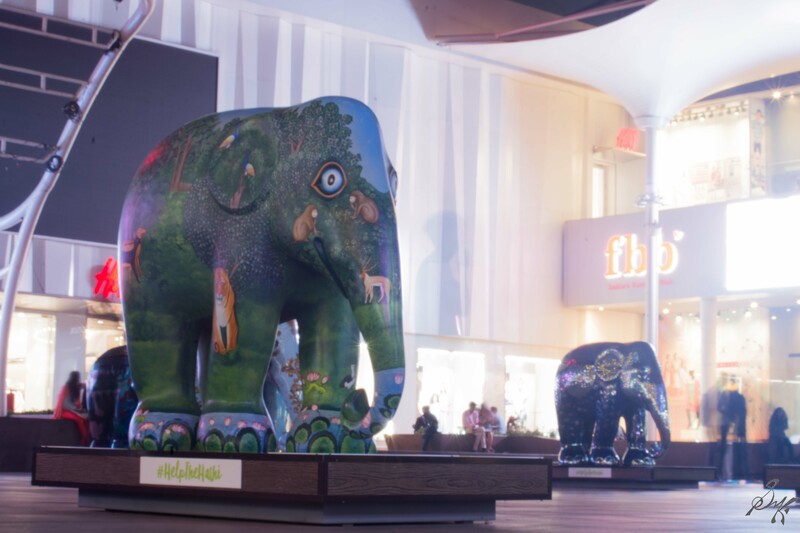 It is my recommendation that you go and have a look at these elephants as and when possible. 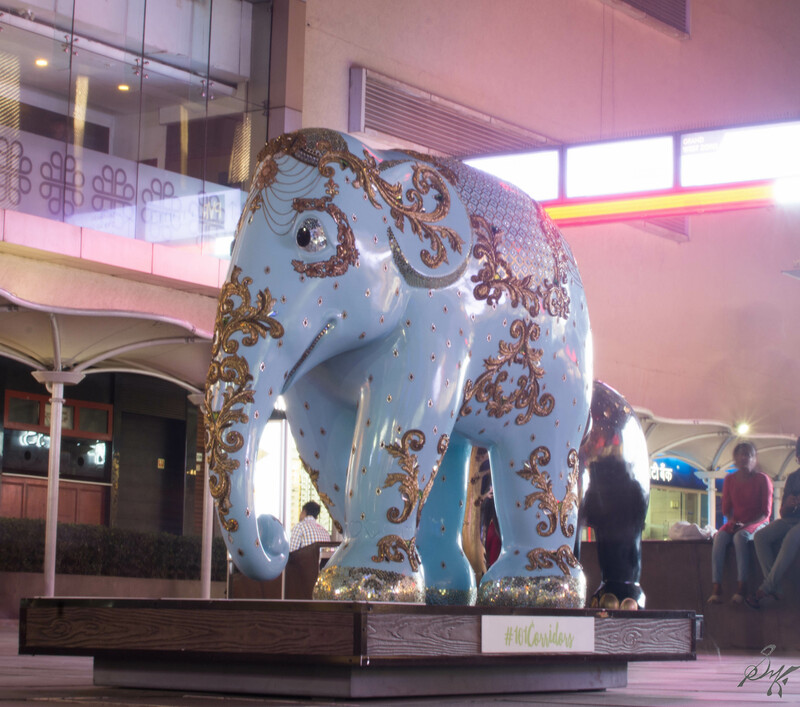 As a note to my readers who may be in Mumbai from 14-18 March, a set of these exquisite elephants shall be at the Bandra Fort during the above mentioned days. The opportunity to capture stunning photos is quite an unique one. A trick to reduce the influence of crowds on the photo is to have a long exposure. The elephants being stable are sharp while the crowd fades away due to them moving swiftly. 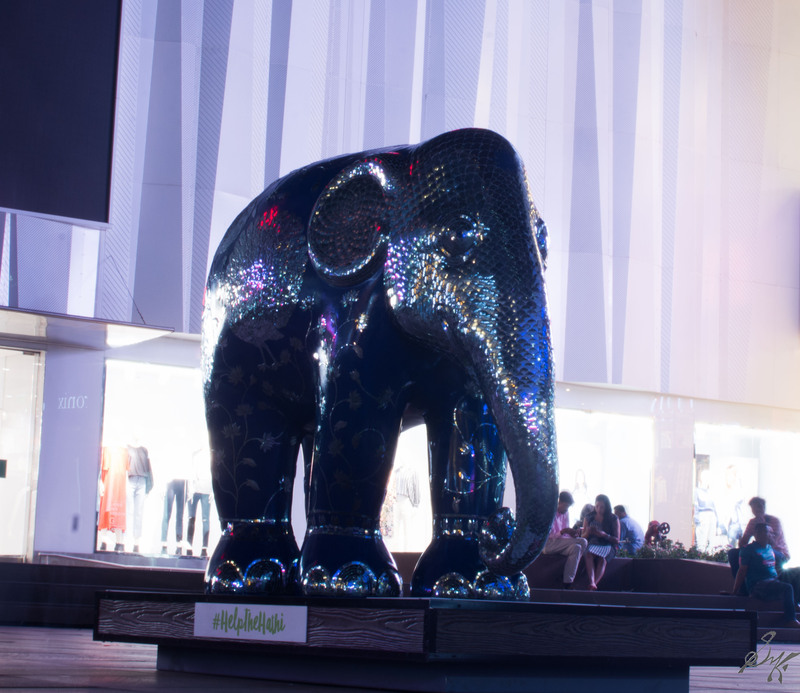 In case there are posey people in front of the elephants, they shall show up. There shall be ghosting, for sure. 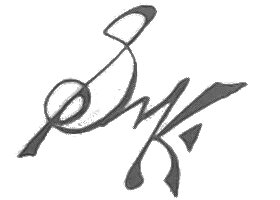 This is the minimum hassle method to obtain a clear picture. Drawback being it can be used only when you can shoot a long exposure, meaning, day time shots are not possible. For the daytime shots, you can set your tripod and take a series of shots and then use the “Median” command in Photoshop to eliminate the crowd. Ghosting shall be minimal. Go have fun, use a different technique and share your results in the comments below. C’mon….make some time and go visit the Bandra fort installation…it ll be worth the trouble!! 🙂 Glad you liked the post!